With consumers shopping in more channels than ever, retailers have been forced to evolve. It's all about aligning your business to ensure the shopping journey is as seamless, quick, and hassle-free as possible. Still, we all know there are going to be issues as consumers transition from mobile devices to in-store experiences to the web—and back again. 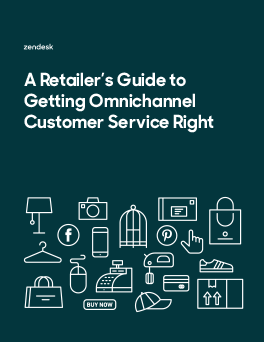 That's when having the right omnichannel customer service program in place becomes so valuable. Being able to efficiently and effectively serve your customers in the channels they choose will make them happier, breeding loyalty in the long run. Hooray! Access has been granted. Here's the link to access.